The issues in cybersecurity make it a growing IT field dealing with protecting computer systems against attacks by hackers and cybercriminals. Cyber attacks may involve malware or hacking in order to get information, disrupt business, or even steal money. There are a number of issues in cybersecurity that are challenging and formative for the industry. The threats are getting bigger and more numerous, and the field needs a lot more expertise and manpower to have any hope of fighting the threats with any effectiveness. For businesses, the security of their data is crucial to their operations. New technologies are constantly being developed, from cloud servers, software and data storage to AI tools that use machine learning to function. Unfortunately, each new technology brings with it the potential for vulnerabilities that hackers and cybercriminals can exploit. Many cybercrime reports outline these vulnerabilities Keeping up with the vulnerabilities of new technologies is a major part of cybersecurity workers’ jobs, but it can be like trying to find a needle in a haystack. If all workers followed directions exactly, a lot of cybercrime could be avoided. Unfortunately, human nature has proven that some workers don’t follow directions, allowing cybercriminals to exploit existing vulnerabilities. Human nature contributes to cybercrime in various ways, including opening documents that contain malware, sharing passwords, and using easy-to-guess passwords to protect sensitive information. Another aspect of human nature that can lead to cybercrime can occur when an IT employee leaves the company and deletes information or otherwise compromises systems. Cybercriminals began by targeting larger corporations, but as they developed cybersecurity measures to counter the attacks, smaller companies and startups, particularly those in developing countries, became targets. Many of these companies don’t have the financial resources to put a comprehensive cybersecurity plan in place, which leaves them vulnerable to attack. The cybersecurity field is constantly developing and changing. Cybercriminals continue to find better ways to commit their cybercrimes. A new technique called PowerShell uses malicious scripts that are difficult to track and usually evade antivirus software. PowerShell has already been used in a major Saudi Arabian cyberattack. It is nearly impossible to keep up with cybercriminals’ attacks, and in many countries, the stigma against cybercrime has been diminishing so that more people are emboldened to become hackers and try to get their piece of the action. The already serious talent shortage in cybersecurity is expected to reach critical levels with up to 200,000 open positions in the U.S. and one to two million worldwide in the next few years. Companies all over the U.S. and the world will be looking for cybersecurity talent, and many will find scarce, if any talent to be had. 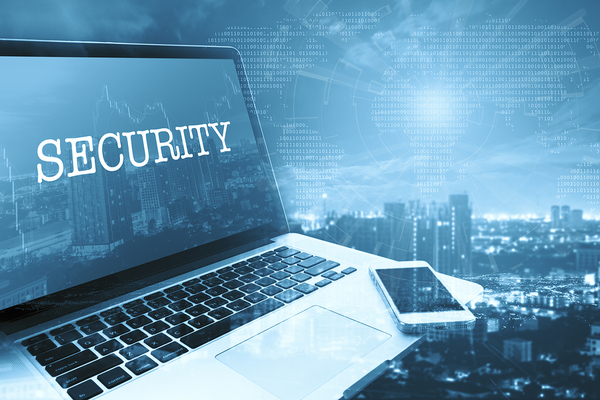 More than any other area of the IT field, students who pursue cybersecurity degrees will find many available jobs and compensation packages that continue to become more lucrative. Florida Tech offers an advanced cybersecurity degree that will prepare students for the best cybersecurity jobs available. Learn more about our Information Assurance & Cybersecurity program today!